Feel like your home's utility bills are too high? You're not alone. The U.S. Energy Information Administration reported that the average monthly electrical bill for U.S. homes stood at just over $114 a month in 2014. And the U.S. Energy Information Administration suggests that U.S. homes relying on natural gas would spend an average of $578 during the winter for heat. If your monthly electric and gas bills are too high, it might be time to call in an energy auditor to perform a home energy audit. During an audit, an inspector will tour your home and run tests to determine where your home is losing energy, and money — potentially helping you shave 15% or more off your utility bills. Here are four ways in which a home energy audit can save you money. An energy auditor will take a close look at your home's windows. It's more costly to cool and heat your home when leaky windows are letting that hot and cold air escape. Your furnace and air conditioning units have to work harder, consuming more energy, and therefore money. According to the U.S. Environmental Protection Agency's ENERGY STAR program, homeowners can save $126 to $465 a year in energy costs when replacing drafty single-pane windows with ENERGY STAR-qualified replacements. That figure is less impressive when homeowners replace inefficient double-pane windows, but you can still save from $27 to $111 a year with more efficient versions, according to ENERGY STAR. Hot and cool air can escape through plenty of cracks in your home's seal. That's why energy auditors will test your home with a blower door. According to RESNET, this is a powerful fan that an auditor will mount in the frame of an exterior door. The fan will then pull air out of your home, lowering the air pressure inside your residence. The higher outside air pressure will then flow into your home through all of its unsealed cracks and openings. Your auditor will then use diagnostic tools to determine how much air is leaking from your home and from where it is escaping. Sealing these leaky areas will reduce your monthly energy bills. A home energy audit will also help you decide if your home's walls lack proper insulation. The U.S. Environmental Protection Agency estimates that U.S. homeowners can save an average of 15% on their home's heating and cooling costs, or an average of 11% on their home's total energy costs, by air-sealing their homes and adding insulation to their attics and walls. During an inspection, an energy auditor will use thermal cameras to determine hot and cold spots in a home's walls and flooring. This will help the auditor determine where your home is lacking proper insulation. Installing new energy-efficient insulation can then have a significant impact on your home's monthly utility bills. You might be thrilled that your home's washing machine is 20 years old and still chugging along, or that you haven't had to replace your refrigerator in 15 years. But those reliable, old appliances might be costing you too much money each month. The U.S. Department of Energy estimates that home appliances account for about 13% of your home's total energy costs. Replacing older, inefficient models can save you money each month. The Department of Energy says that ENERGY STAR-qualified washing machines and refrigerators are about 20% more energy efficient than are standard models. ENERGY STAR-qualified dishwashers only use about 5.8 gallons of water each cycle or less, according to the Department of Energy, while dishwashers purchased before 1994 use an average of more than 10 gallons for each cycle. Newer, more energy-efficient models of these appliances will cost more. But those savings will add up each month. Do some quick math to determine how long it will take before your average energy savings outweigh the extra cost of buying an energy-efficient refrigerator, dishwasher, or washer and dryer. 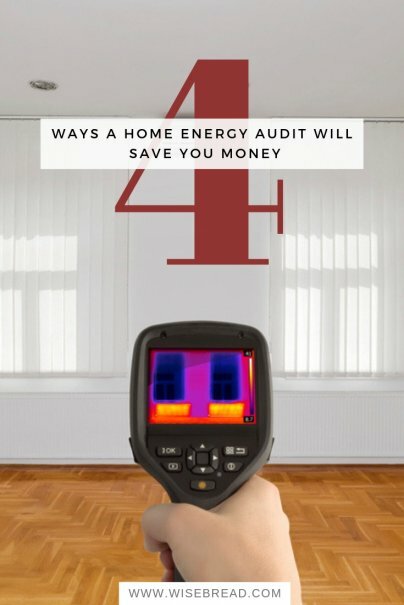 Have you ever had an energy audit done on your home? What did it tell you about your home's energy use?